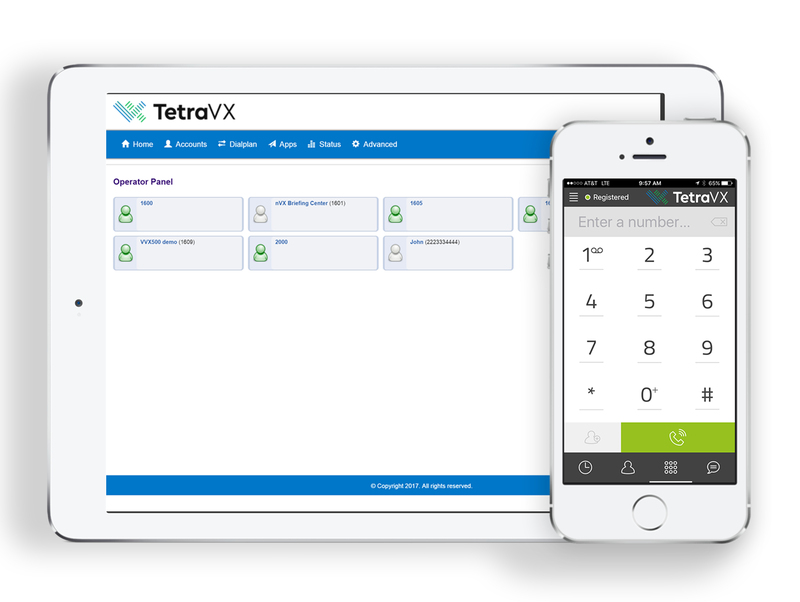 TetraVX’s nVX offering is a cloud-based unified communications solution that provides the flexibility, and mobility to do business from anywhere, at anytime. Easy to implement and easy to manage, nVX is a cost effective alternative to aging on-premise solutions. nVX provides a seamless migration of your business phone system to the cloud. Ready to move to the cloud, but not ready to lose the hardware you’ve already invested in? nVX works with all SIP phones making sure you can continue to use the hard phones you’ve already got. With an easy-to-use, self-service portal, administrators can manage and analyze their nVX UC environment. nVX provides the features and functionalities that help organizations drive complete, high performing collaboration.